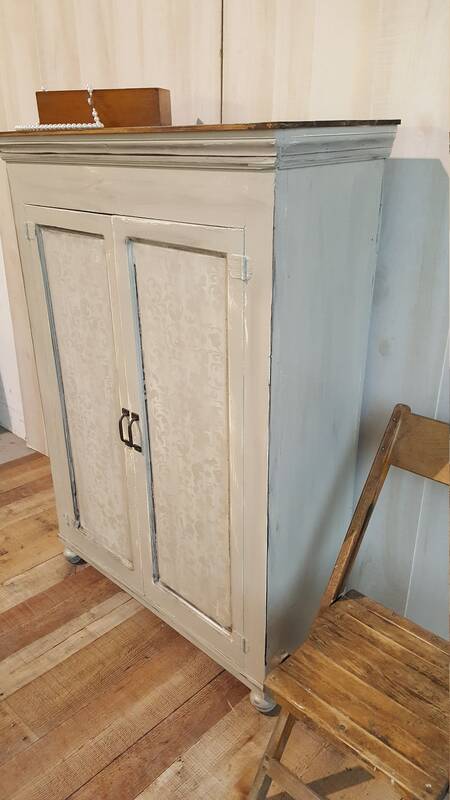 $299.00 Vintage rustic storage cabinet. 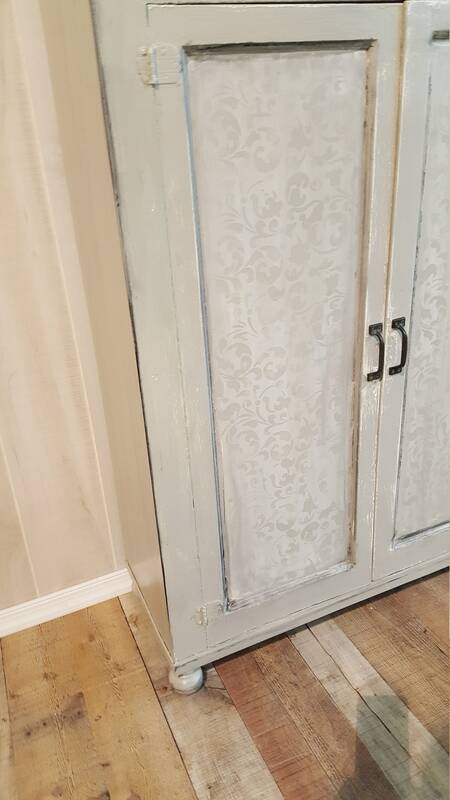 Perfectly farmhouse pantry or coffee bar measures 36" wide, 14'' deep 51 tall. 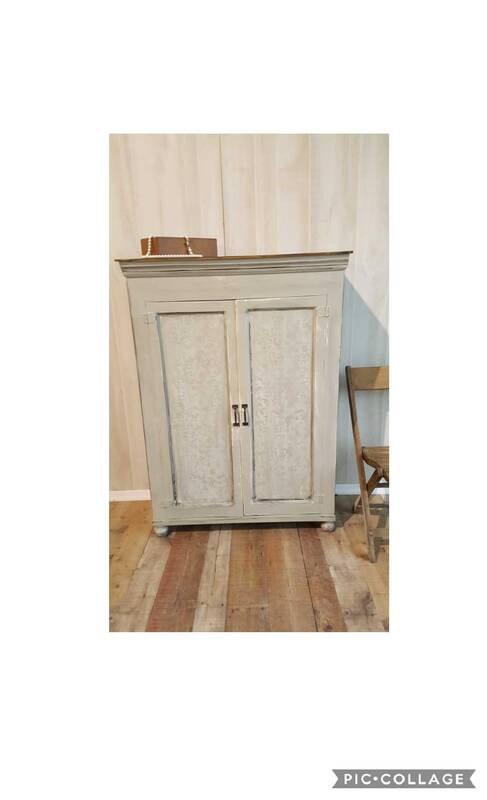 Doors open and close smoothly to a large storage cabinet with 3 shelves inside. 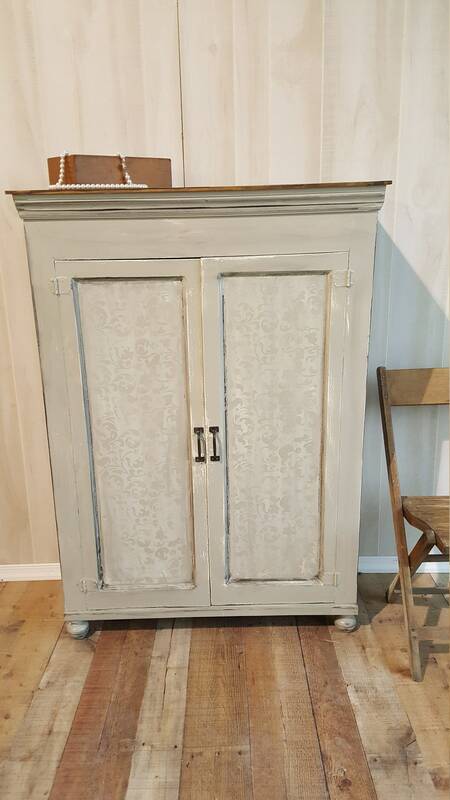 Painted annie sloan french linen color with distressing. 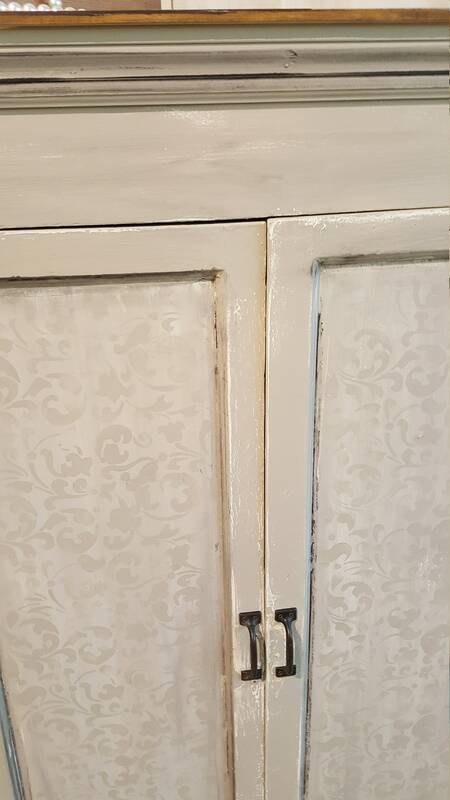 I painted scrollwork in a monochromatic color scheme on the door panels. 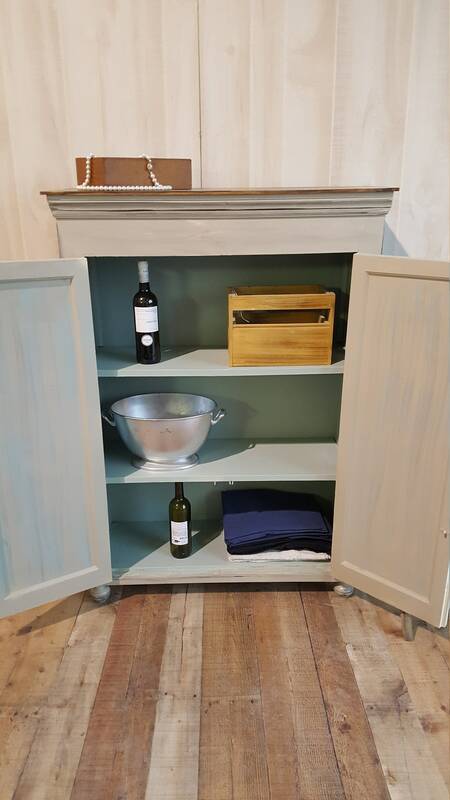 Inside is painted annie sloan duck egg blue color. 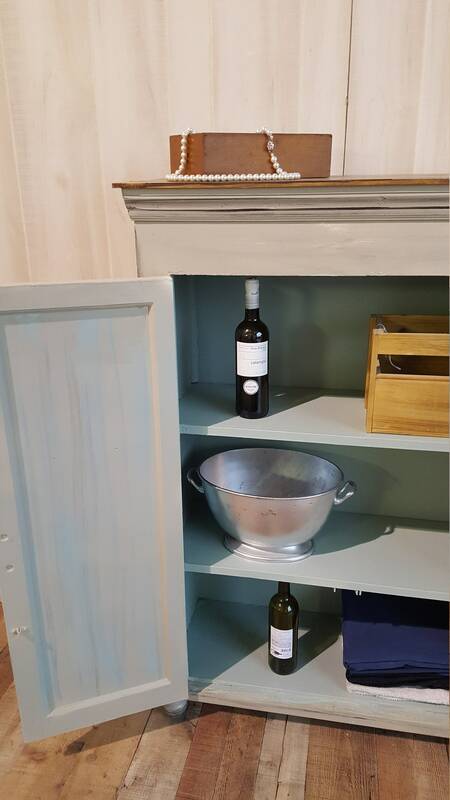 The top has been planked with duck egg blue and french linen dry brushed onto the walnut stain. 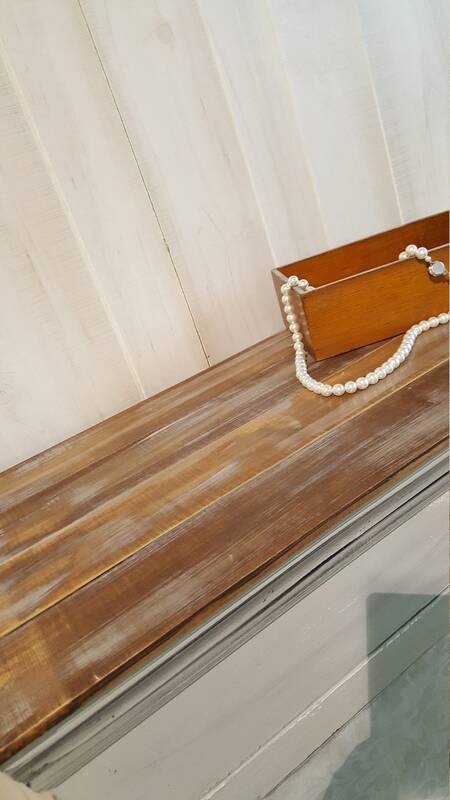 The top is a nice big flat surface that can also be used to store or display your favorite things. 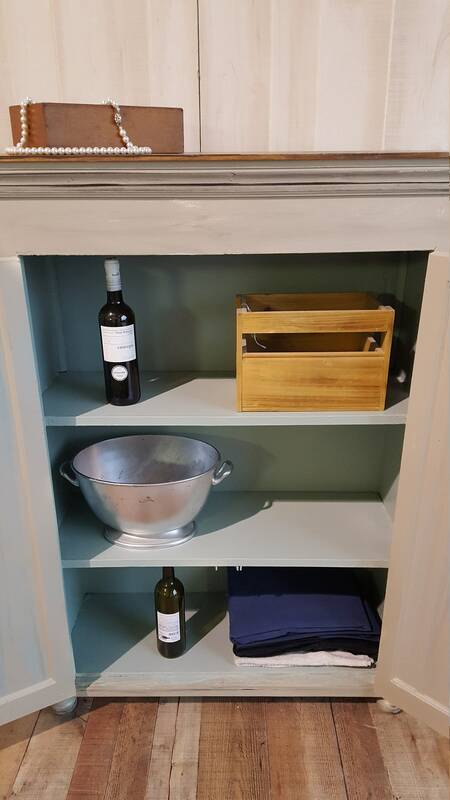 Great to hold dishes or store food, small appliances or towels in a bathroom. Also great in a kids room or family room for storage. 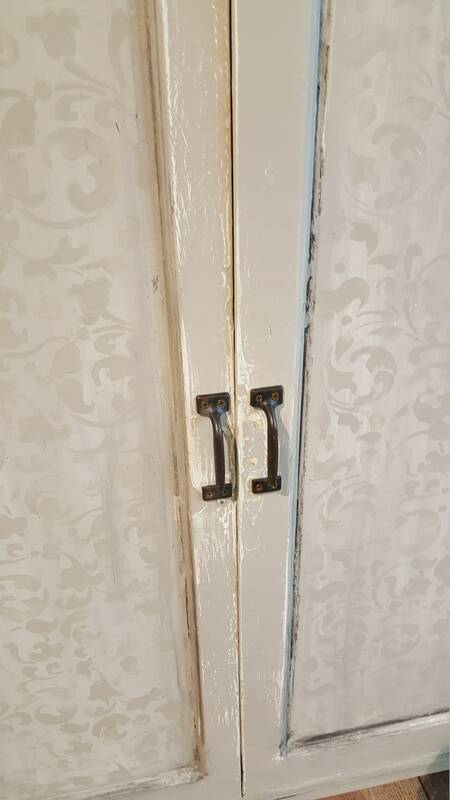 We added vintage industrial pulls to the doors. completely polyurethaned. Local Pick Up is Available. Need to see it in person? If you are local to the Bergen County, New Jersey area, please contact us and schedule an appointment.